Our Brock swivel bar stool is crafted of high-quality, North American steel, and its durable construction features wrinkle-free bends and full length welds on the main structure. Create a custom look by selecting from our wide variety of upholstery and metal finish options. COM price shown. 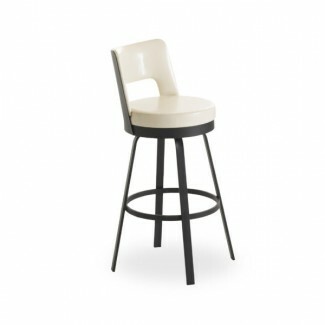 Our Metal Frames Designer Bar Stools Collection has a lead time of 4 - 7 weeks from the time your order is processed.